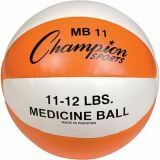 The newly designed Champion Sports Leather Medicine Ball boasts an ultra durable construction for maximum grip and control. 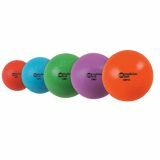 Each ball is made with a thick leather cover that will stand up to extreme exercise routines. 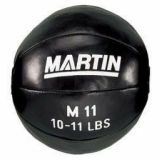 Leather Medicine Ball, 17-18 Lbs. 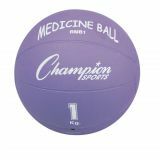 The newly designed ultra-durable Champion Sports 8 kg Leather Medicine Ball provides maximum grip and control for the most extreme exercise routines. 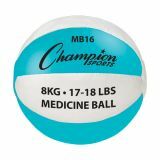 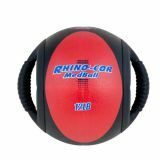 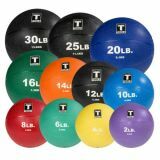 Weighing in at 8 kg with an 8.37" diameter, this medicine ball is easy to incorporate into resistance training to challenge you're muscular and cardio strength. 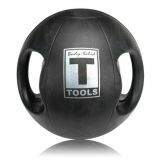 The durable synthetic leather cover and tough stitching resists cracks and tearing, workout after workout. 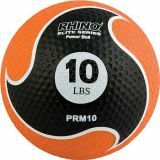 •Weight 17-18lbs . 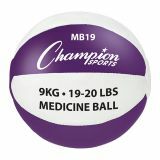 8.37" Diameter. 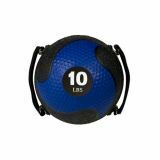 Leather Medicine Ball, 19-20 Lbs. Leather Medicine Ball, 21-22 Lbs.